In times of digitalization, even grocery stores have to be online. IT is a reliable way to find new clients and advertise your products. 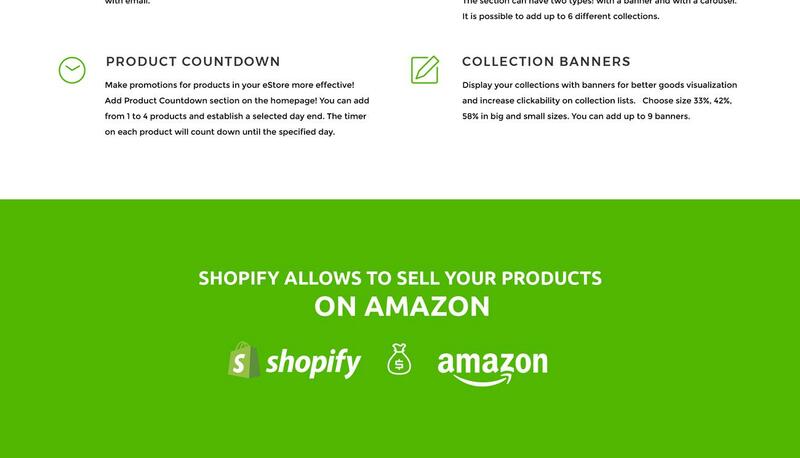 This is why developers from TemplateMonsters.com developed GROCEE Shopify theme. It is attractive and was made in a clean, yet bright design style. With GROCEE you can blog and use social options. You can also use Catalog, Sale, and Collections category pages to sort provide customers with easy website navigation. With GROCEE you can open a healthy food store or organic food store to provide customers with healthy food. Or you can also open a seafood store, a tea shop, a coffee shop and many other online stores. 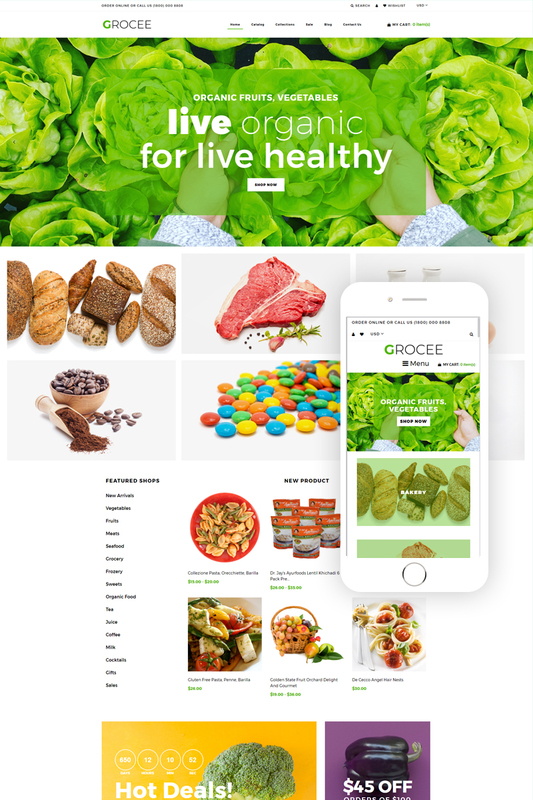 Keep customers nutrition level high with GROCEE Shopify Theme.